Glenbower wood is a beautiful area. In the past there was a lake in the valley, but this was breached in 1989. Currently the committee for Glenbower is looking at the possibility of re-instating the lake. For more information on the history of Glenbower Wood, click here. For the website for Glenbower Wood & Lake ltd, click here. We are proud of the playground in Glenbower. 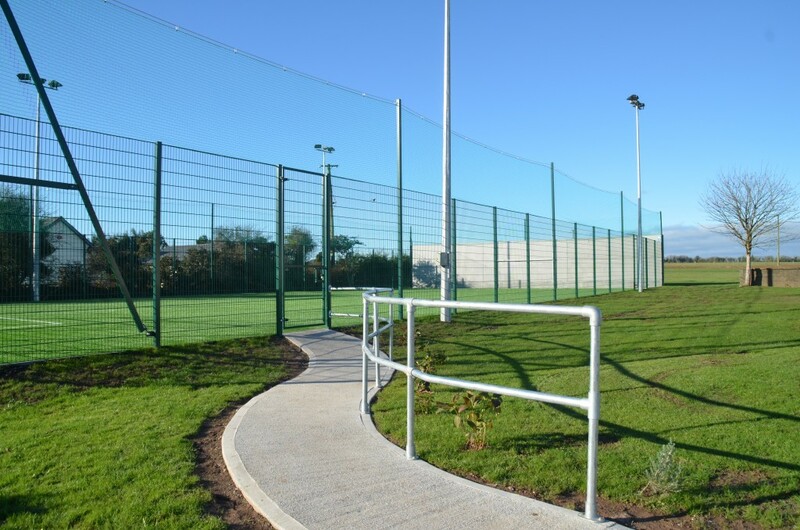 The playground is in the care of Cork County Council, and was built with the aid of SECAD. For more information on the playground, click here. Killeagh Inch Community Council partnered with Inch National School to build an All Weather Pitch at the school. This pitch is now complete and will be open to the public from January onwards. A big thank you to the sub-committee. Booking info on 086 122 9889 or email inchallweather@gmail.com. €40 per hour and reduced rate €30 for non-club students.